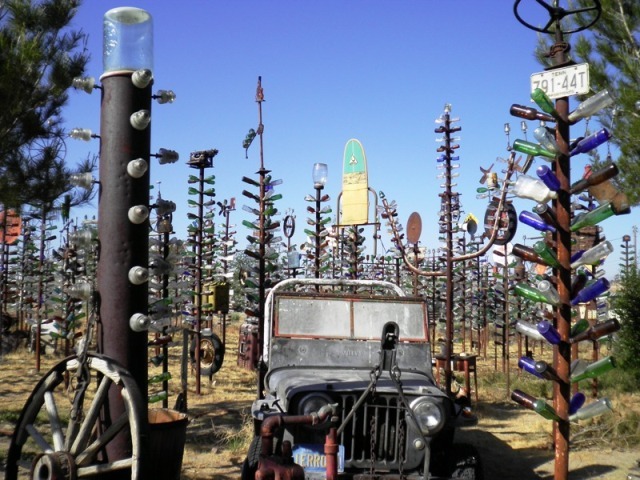 One of the oddest places I visited on Route 66 was the bottle farm outside of Victorville. 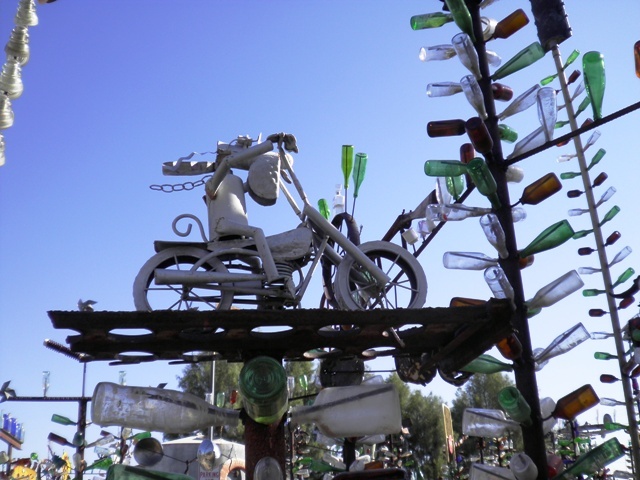 All the sculptures were created from bottles and other artifacts found in the Mojave Desert. 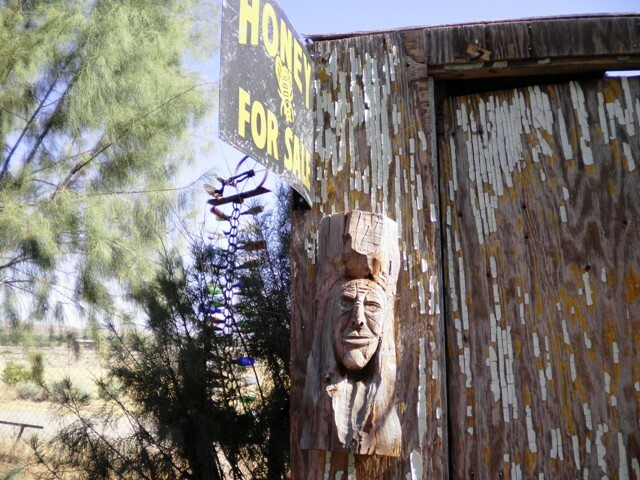 I wish you could have visited this fascinating place with me, but maybe we’ll meet on Route 66 some other time when we are dreaming of the Mother Road and days gone by. 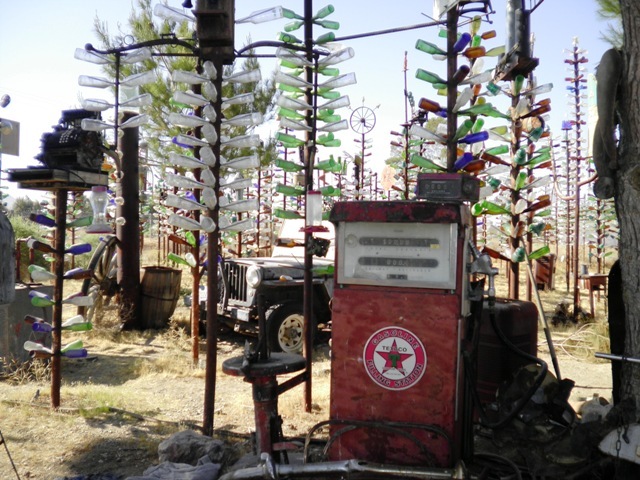 Wow, what a cool place — reminds me a bit of the Watts Towers in Los Angeles: odd, interesting sculptures created by one man, built from a variety of recycled materials. This is on my list. Thanks. 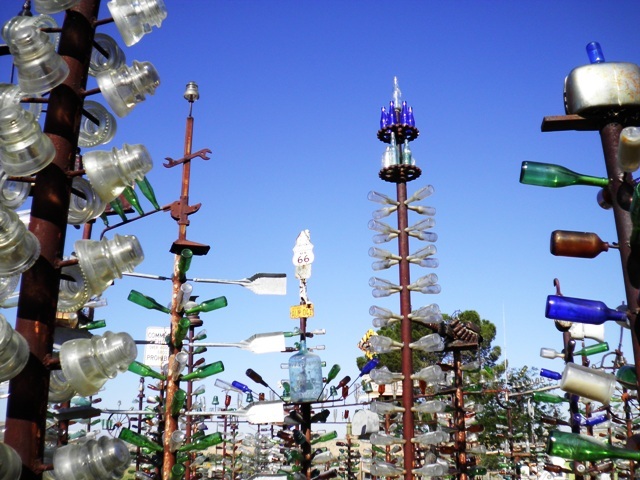 I looked up the Watts Towers. How fascinating! Thank you for telling me about them. Gosh, Pat, the last time I was in the Mojave Desert, it was less colorful by far! It’s amazing how some people can see color and beauty in the most mundane things. Thanks for the peek. Coco, I’ve never seen even one antique bottle in my travels through the desert, though I have seen piles of trash. Some future sculptor might even find beauty in that detritus.